All our strengths are our weaknesses at the same time. No doubts, the human subconscious can be controlled, and quite easily. Small details which are often unnoticed pay a vital role in the perception of the surrounding world. And thanks to these nuances, you can seamlessly boost the promotion of your brand identity and the purchase of certain goods. The buyer’s choice depends on many factors: music, aromas floating in the air, the brightness of light and color that accompanies the customer at every step, etc. One of the key objectives of branding is to form the correct image of the product and to convey the message to a target consumer, giving the product the characteristics that the consumer wants. 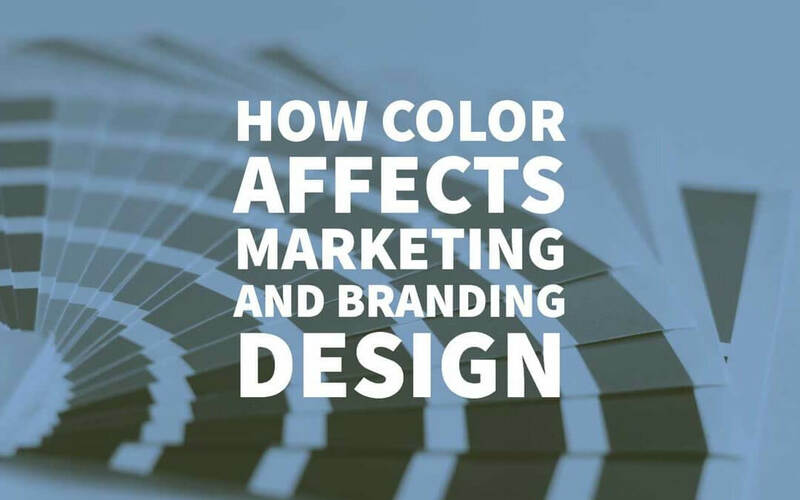 A color is a part of the brand’s image, so the right choice of color will help you to call for the right emotions, which ultimately force the visitor to take advantage of your services. The color is important for any product or service: it plays a crucial role in the design of the products of mass demand. Also, the right choice of color for company logo design or its product and services can help companies operating in the B2B market to build a trust and a positive attitude. Ensuring the visibility and clear differentiation of the brand from competitors. When determining the color solution, please do analyse the key market leaders, competitors, and goods that will be directly on the shelf next to your goods. Ensuring the visibility and clear differentiation of the product from other company’s products. If you have a product significantly different from the rest, be sure to highlight it (as a result, the customer will highlight it in his mind as well). Improving the communication and highlighting the image of the product or service. It is known that non-verbal information is read much faster. By using the proper color gamut, you can communicate with your audience non-verbally. However, it is important to remember that you shouldn’t focus just on the determination of the color gamut of the future product since the color is just a part of the image, which in the absence of the other ingredients will not bring you success in the long term. When choosing color gamut, please reflect the cultural characteristics of the country and remember that the same color in different cultures may have different meanings. Colour attracts attention almost flawlessly. Even without linking it to advertising, if accepting the perception effectiveness of black-and-white image as 100%, the efficiency of the perception of the two-color image is increased by 20% while multicolored by 40%. It causes psychological reactions: stresses quality and mood creates a warm or a cold environment, reflects the seasons of the year, etc. It has the physiological effects, either positive or negative optical irritants. It touches the feeling of the individual. There is a certain relationship between physiology of color perception and color gamut of advertising. It is established that each color calls for the subliminal association. It can attract and repel, instil a sense of peace and comfort, soothe or worry. Therefore, references to a particular object can generate an association with a particular color and vice versa – when perceiving the particular color a person may experience a connection to the certain object. The color itself can exert a definite effect, according to its optical properties. Accordingly, the use of various color combinations entails a predictable reaction of the viewer. Despite the fact that modern consumers become more sophisticated in choosing the color gamut, basic color preferences are universal for the vast majority of people. Sphere of product activity that you are going to promote. Target audience, i.e., on whom the brand is targeted (age group, social status, etc.). Psychology of color. Color not only expresses emotions and mood but also manages them. Warm colors, for example, cause the active emotions while cold colors call for the feeling of comfort. The match between the color and the product designation. For example, if you advertise a food product, it is not desirable to use the so-called “non-edible” colors like blue. But in the detergent commercials, this color will be very effective. Current color trends. It is known that the colors are subjected to fashion. Therefore, think about whether the chosen color gamut corresponds to the current trends and tendencies. Still, you shouldn’t blindly follow the fashion – better be guided by common sense and intuition. Versatility. Choosing a specific color, you have to imagine that it will be present not only on the product packaging, custom boxes or a magazine cover but also on the website and television. Not all colors look equally good in different conditions. Collective association. All of us perceive colors in a particular context due to cultural traditions, geographic location, globalization, and some other local factors. Recent studies have shown that the main colors used by successful companies are red, blue, black, and shades of gray. 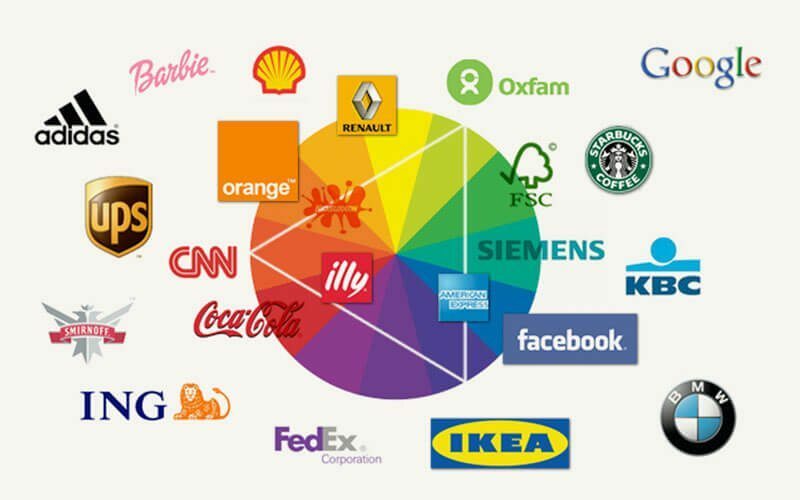 95% of brands use only one or two colors, and only 5% use more than two colors in the logo. 41% of the brands use text only, without any additional visual elements. Red. The basic meaning of the red is to stimulate and excite. Red expresses emotions such as passion, strength, and sometimes even anger. Use it for following communications: warning, danger, strength, determination, courage. Warm red conveys strength and reliability while the bright shade conveys energy, zeal, and swiftness. The red is often used in food, cars, technology, and agriculture segments, and very rarely used in energy, finance, air, and clothing business. Purple. Purple is associated with nobility, wealth, and luxury. Bright shades of colors give the feeling of spring and romance. Dark purple conveys elegance and mystery. Purple is often used in finance, technology, and health segments while rarely used in energy and agriculture. Blue. Blue conveys reliability, confidence, and security; it’s associated with calmness of seas and oceans. Bright shades of blue convey friendliness while dark shades – experience, success, and stability. It’s a reliable, reputable, secure, and responsible color, actively used in energy, finance, airlines, health, and agriculture segments. Green. Green has a strong association with the plant world and life. It conveys a sense of serenity, rejuvenation, prosperity, health, and optimism. Light shades make you feel spring, rebirth, relaxation, freshness, and sincerity. Green is used in energy, finance, food, household goods, and technology segments while almost not used in clothing and cars. Yellow. Yellow is one of the most pleasant colors, associated with the sun. It calls for the feeling of happiness, hope, and optimism. Bright shades of yellow are often used to attract attention and gain visibility while dark ones call for wisdom, intelligence, and curiosity. Yellow is actively used in energy, food, and household goods segment; you can rarely see it in finance, air, clothing, automobiles, and technology businesses. Orange. Orange embodies light, joy, and warmth of yellow color along with energy and courage of the red. It is lively, energetic, friendly, affable, ideally expressing movement and art. Orange is actively used in technology and healthcare businesses while you can seldom see it in energy, finance, airlines, cars, and clothing spheres. Brown. Brown conveys senses of cleanliness, comfort, and coziness. It best corresponds to conservatism, experience, confidence, and durability. Please, use this color with caution since some consumers may associate it with the impurity. Brown is preferable to clothes, cars, and agriculture. Don’t use it in finance, airlines, and technology fields. Black and shades of gray. Black is used by companies, which tend to convey traditional values and style. It’s perfect for luxury goods and services since it calls for power, modernity, and sophistication. Black is actively used in clothing, technology, and automobiles fields. White. White conveys purity, cleanliness, simplicity, and innocence. Therefore, this color is often chosen by brands which offer products related to the improvement of health and goods for children. White is actively used in clothing and health businesses. It’s pure, noble, and soft. In many ways, the choice of a successful visual image depends on coordinated and accurately determined color matching. Any two colors staying next to each other are perceived differently than individually. If colors have approximately the same brightness, they tend to share the saturation and color. These effects are most noticeable when one color is surrounded by the other. However, we can observe the quite opposite trend directly in the contact zone between the two colors: they repel each other, trying to highlight their differences. Such influence of colors on each other, leading to increased contrast, is most notable when colored objects are significantly different in brightness. For example, any dark color looks black on a white background while bright colors look more saturated on a dark background. At the same time, dark colors look pale on a dark background. The specificity of high-quality goods and luxury items is best emphasized by a combination of black with red or gold. The “freshness” can be called with yellow, blue, and green “cold” colors. Not by chance green is commonly used in dairy products while blue – for seafood, brown – for ceramics, and bright blue – for jewelry. A mixture of blue and green call for a sense of uncertainty and anxiety while the combination of yellow and blue makes the consumer stressful. The combination of black and white leads to a sense of something mysterious while black with red call for danger and suppression. Black with orange evokes a feeling of external pressure while orange with yellow calls for moderate excitation. Magenta combined with gold emphasizes the power and dignity while gold with red evokes a feeling of splendor, luxury, and conviviality. Blue with white is associated with the sea and the wind, so this combination is of a romantic character. The combination of green and white calls for cleanliness and brightness while green with yellow – for liberation and joy. Moreover, if green and blue emphasizes movement and volatility, brown with yellow causes the feeling of earthiness while brown with green is associated with nature. The combination of red and green is always a strong contrast between energy and tranquility. Purple and yellow makes images heavier while blue with red accompanied by the feeling of repulsion, power, and excitement. Blue with gray is associated with restraint and coldness. Timidity and shyness can be called by the combination of pink and blue while warmth and indifference are the peculiarities of green with pink. Color psychology depends not only on the light (colors look completely different at different times of the day) but also on the distance and the direction of color effects. A color situated vertically is easy for perception while diagonally located color is a dynamic one and horizontally is a stable one. The saturated color in the lower part of the web page indicates the natural state. The concentration of color on the upper part gives a feeling of pressure. The excessive amount of color at the edges is perceived as instability. Warm white color creates a calm environment while cool white color emphasizes the active attitude. Color greatly influences on human psychology. It may attract the attention of the potential buyer or scare him by creating unpleasant associations. 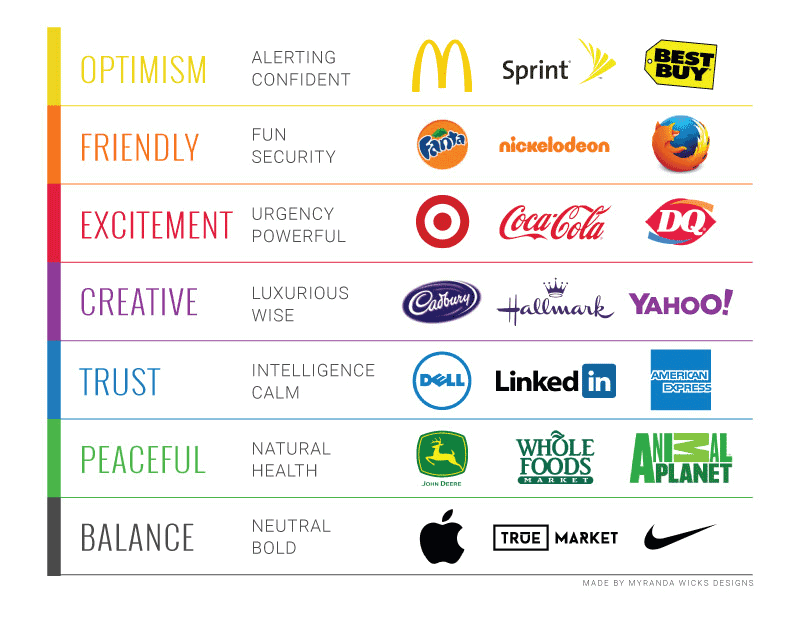 Be sure to study carefully the psychology of color before start creating the color gamut of your brand. Please take into account both conscious and unconscious. Bio: Brian Jens loves blogging and designing. He’s a part of DesignContest project. Brian deeply involved in design researches: he collects the most valuable data, processes it, and finally, present the result of the analytics to the audience. Until reading this I’ve been uncertain about the colour choice for my branding. I’ve been experimenting with my social channels, posting images beside another opposing colour. It has been very helpful examining the colour combination in much the same way an interior designer holds up swatches and wood samples. I’ve observed a high response rate with orange and white, which I feel is the right choice. I was insecure with my choice, as most essential oil brands are safe and boring. In my opinion, selling the benefit by evoking a feeling of optimism, is the way forward. Thank you so much for your intelligent and easy to understand posts. Thanks for the great article! Very useful. Very interesting, congratulations because it helps a lot to understand the power of colours. Thanks for that article, very useful for everyone doing any branding or marketing! Very useful article, thanks for sharing the info. Wow, what an article. Love it! Very interesting. I’m curious, do you have references or links to the studies that showed the successful company color breakout? Very informative. Bookmarked this for reviewing again. Thanks for the great post!